And Alexa will add the book. Or it will try to. It’s not perfect. Alexa, ask LibraryThing how many books I have. To dazzle your friends with your intelligent personal assistant and your impressive library. See the LibraryThing Wiki for detailed directions on how to install it, and what to say. Come talk about this on Talk. The Alexa app was coded up by Chris Holland (@conceptdawg), who did a bang-up job, with an immature programming environment. Thanks to Abby and Puck (pictured) for the video. We’re thrilled to announce the official LibraryThing iPhone App! Free accounts. We’re giving away lifetime memberships to anyone who uses the app for the next month. Register for a new account using the LibraryThing App, or sign into the app with an existing account, and you’ll be automatically upgraded. Browse and search your library. 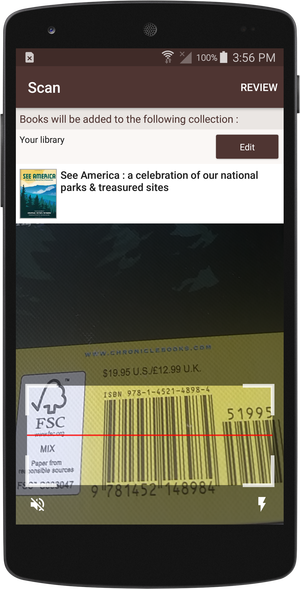 Add books by scanning barcodes. Scanning to add is VERY FAST! 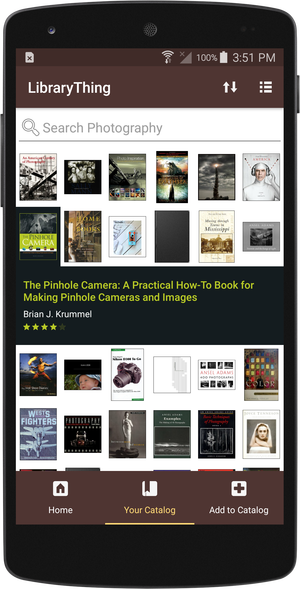 Browse and upload covers, using the iPhone camera. Do minor editing, such as changing collections and ratings. Major editing sends you to LibraryThing. 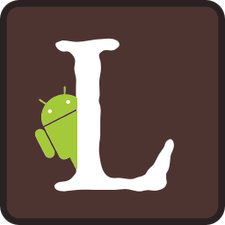 Is there an Android version of the app? Not yet. With luck, we’ll do that next. Tim outlined some of the key reasons why we did iPhone first here. Wifi, you bet. Offline, no. It’s designed for the iPhone, but works on the iPad. NB: iPad cameras don’t have a built in flash, so you’ll want to make sure you’re scanning barcodes in a well-lit room. Will you add X, Y, or Z features?